Oh Fox, you never disappoint. Morning news show Fox & Friends tweeted at Attorney General Eric Holder on Thursday and questioned recent statements he made on whether he would dismantle the Ferguson police department. The ridiculous tweet suggests that Holder’s comments were related to the Ferguson shooting, which took place shortly after midnight on Thursday and left two officers injured. The Fox tweet says, “New #Ferguson violence comes just one week after AG Holder vowed to dismantle the city’s PD. Is this what he meant?” Dear Fox, on behalf of anyone with common sense, I can answer that question. No. The United States attorney general did not mean he would have officers killed in order to create a lawful police and legal system in Ferguson. 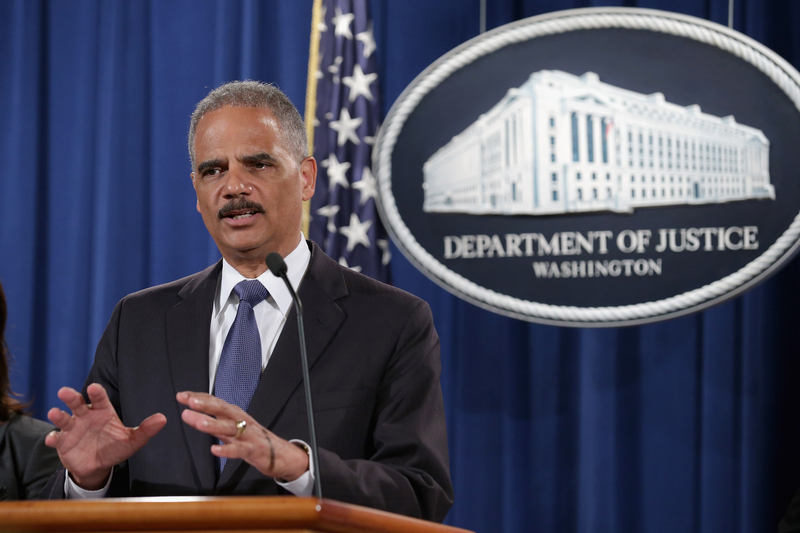 Does Fox really think Holder helped pull the trigger at Thursday's shooting? Probably not, but no one can ever quite figure out its method of reasoning. I’ve never understood how the conservative network continues to draw crooked lines from point A to point B.